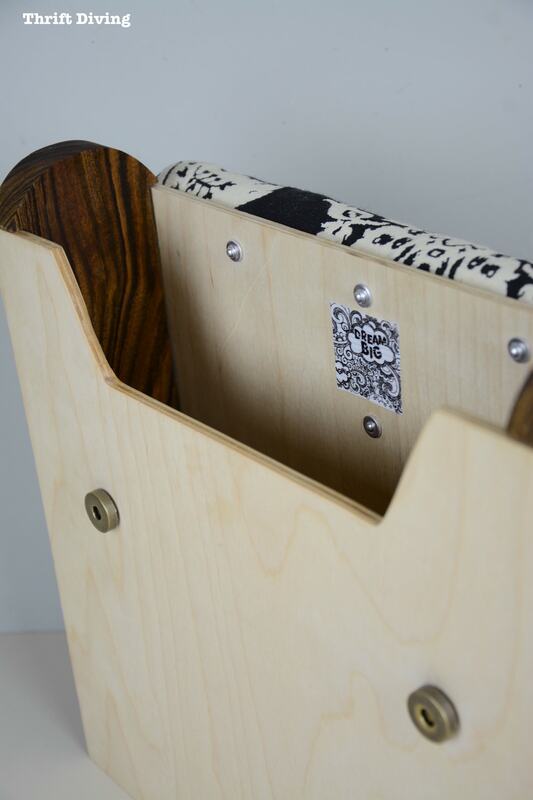 This DIY wood backpack project is brought to you, in part, by my partners, RYOBI. I was just saying the other day to someone that my favorite projects are the ones where I’m forced to think outside of the box! Many times it could be a sponsor coming to me with a product and I think, “Oh, I know what I could do with that!” or it could be a monthly theme or challenge and it requires me to brainstorm cool ideas! That’s what happened with this DIY wood backpack project! Meaning, I’ve got to come up with a project that I can actually wear. My first thought was that I’d love to create a necklace with a little vial of sawdust that would grace my chest. But I probably wouldn’t wear that for much longer than it would take to make it. I’m not a “jewelry” type of chick. Plus, I already have my trusty gold chain that hubby bought me years ago from London. I used to do a lot of sewing eons ago before my love of paint, power tools, and thrift stores emerged. 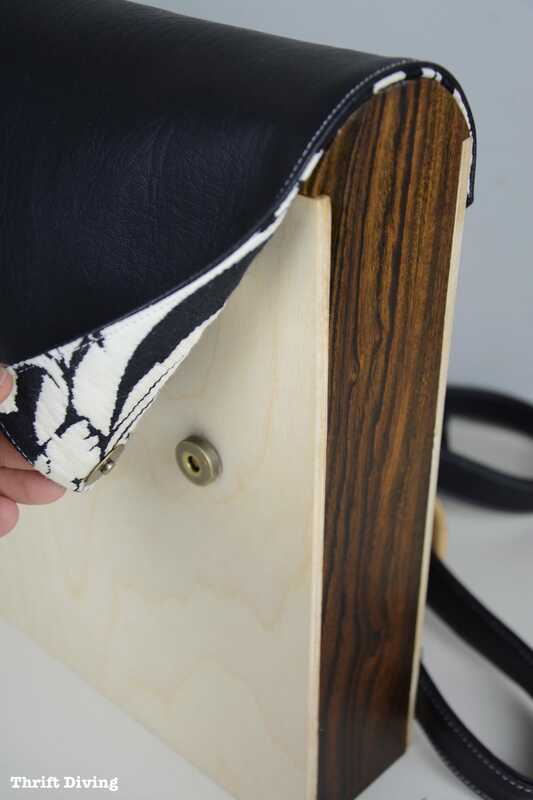 I figured I would sew part of a purse and cut out some cool wood handles and–voila!–I’d have a wonderful new purse. But maybe it just happens with age….?? But about 6 months ago, I developed a strong dislike for carrying big ‘ole purses that become catch-alls for LEGOS, random toy cars, and icky lollipop sticks. I wanted something I’d actually use. Something more compact, more trendy and cool. 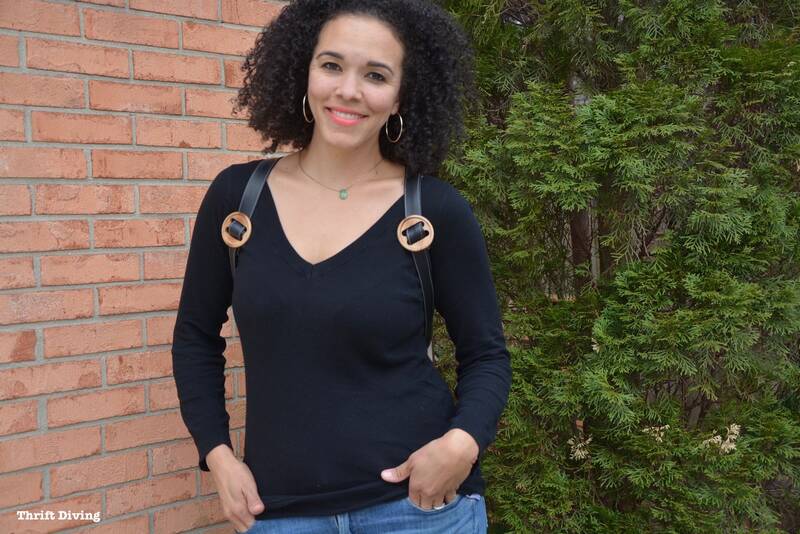 I had been contemplating buying a backpack lately, so it hit me–yes! !–a backpack! “Do ‘wood’ and ‘backpack’ really go together, though? ?” I asked myself. So one lazy weekend morning I laid in bed and researched wood backpacks. I couldn’t find any decent tutorials on making a DIY one. But I did come across an interesting online store called Grav Grav that made wood backpacks and wood satchels for–gasp!–about $110 – $170! Sorry, that’s out of my price range. I’m not one that does knock-off projects (because I like my projects to be as original as possible), but because I liked these wood backpacks so much, I wanted my own. But for a fraction of the cost. I had all the power tools to make one. I just had to figure out how to put it all together to create one less expensive, yet still uniquely mine. I’m happy to report that through all the nail-biting, I did it! And not just “did” it, but rocked it out enough that I’m actually excited about using this wood backpack! This isn’t something that gets made and just sits in a corner somewhere! 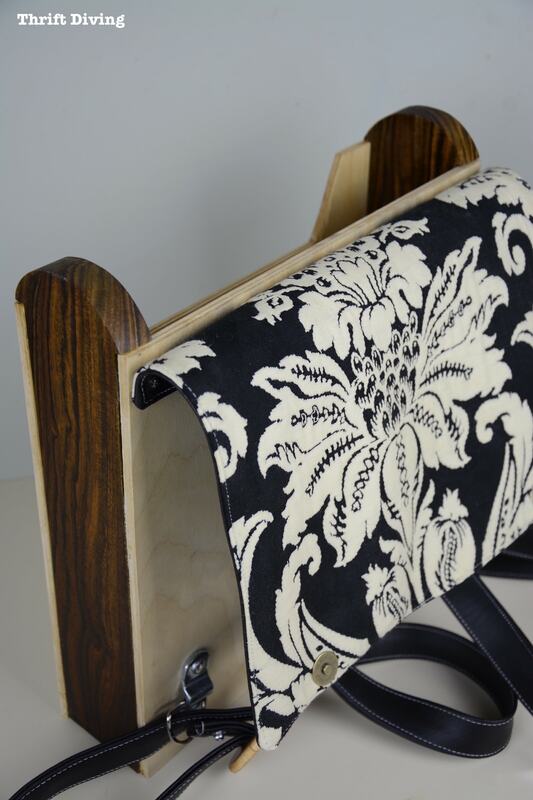 Anyhow, to get the full tutorial for this project, along with a list of materials, you’ll have to head over to RYOBI Nation. 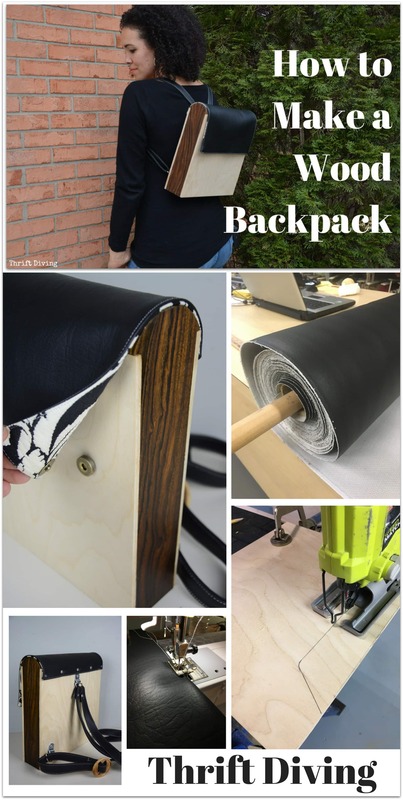 Be sure to login or create a free account to view all the steps involved in making this DIY wood backpack. The exotic wood I used was simply amazing! It was the most expensive part of this project, and the reason I had so much fear; I didn’t want to make a mistake that would cost me the wood! I had never used exotic wood before, but now that I have, I think I am addicted to it. I have a much greater appreciation for exotic woods now! Another favorite feature is the hardware I used! 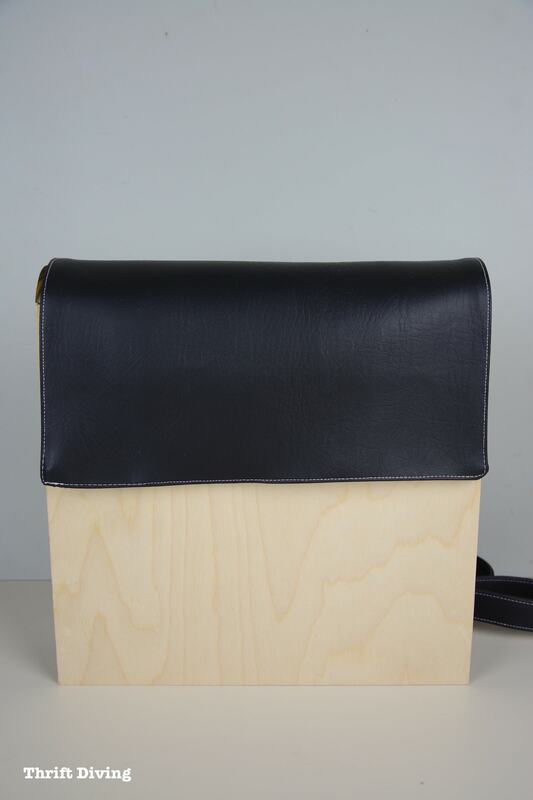 I really had wanted to put additional straps on the front, like a satchel, but I ran out of faux leather. 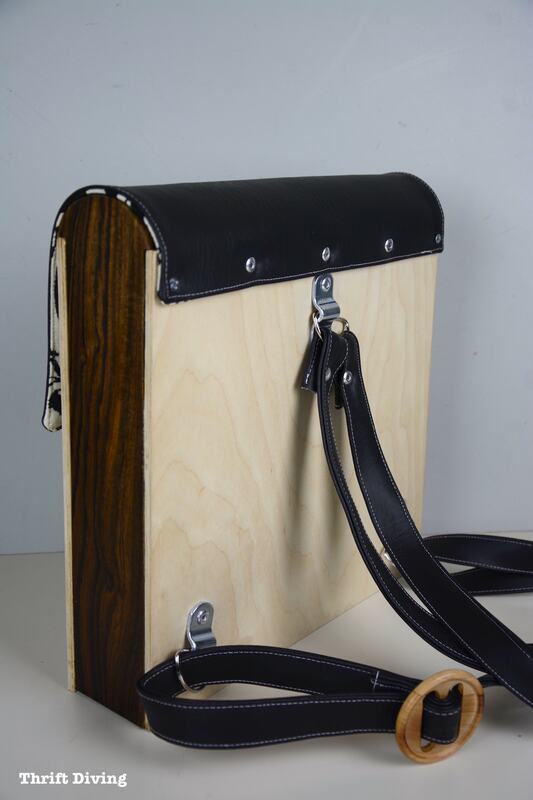 I wanted this wooden backpack to have some “oomph” and element of surprise when the flap is opened up! I’ve had this home decor fabric for the longest time but never knew what to do with it. When you love sewing like I do (despite having no time for it anymore…. ), I tend to keep a stockpile of “someday” fabrics, and this was one of them! Thank God for that! It was perfect! When sewing it, I ran into some challenges with figuring out how to sew it without making it “poofy” and bulky. I wanted it to lie flat when folded over and snapped into place. If you head over to RYOBI Nation, you’ll see the video tutorial that offers some tips for removing some of the bulk. And since I only had a small piece of faux leather fabric, I wanted to make sure that I practiced before sewing into the real piece of faux leather! Always do practice pieces first before doing it on your real project! I had made a mistake when constructing the wood backpack and needed a way to disguise the mistake. Duck tape from the dollar store came in handy for that! And even better, the “Dream Big” display couldn’t have been more perfect! Don’t you just love when you have the perfect “something” when you need it?? 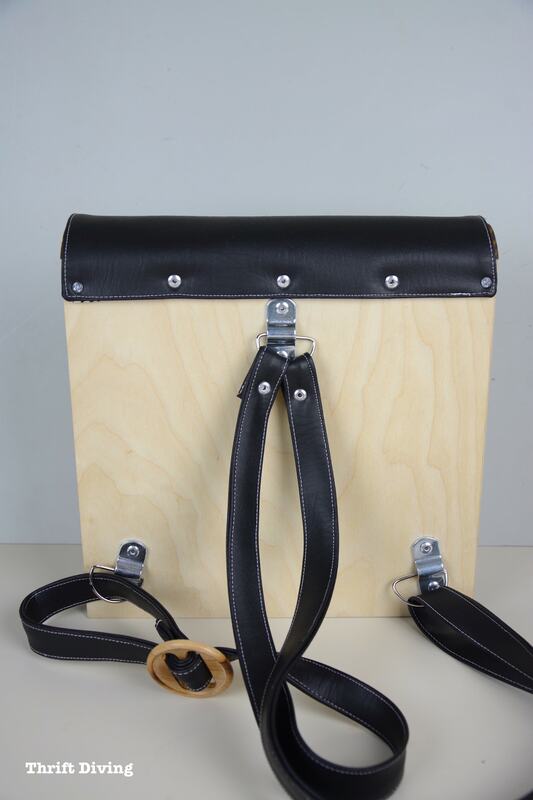 I also just happened to have the wooden buckles for the adjustable straps. Again, stockpiling supplies that you’ll use someday really helps, as I had these for years and never knew what to do with them! This was absolutely one of my most fun and exciting (and nail-biting!) projects! I literally felt anxiety in the pit of my stomach over it, fearful that I would ruin the limited materials I had and wouldn’t be able to complete it. How to Win $300 in RYOBI Power Tools – GIVEWAY CLOSED! 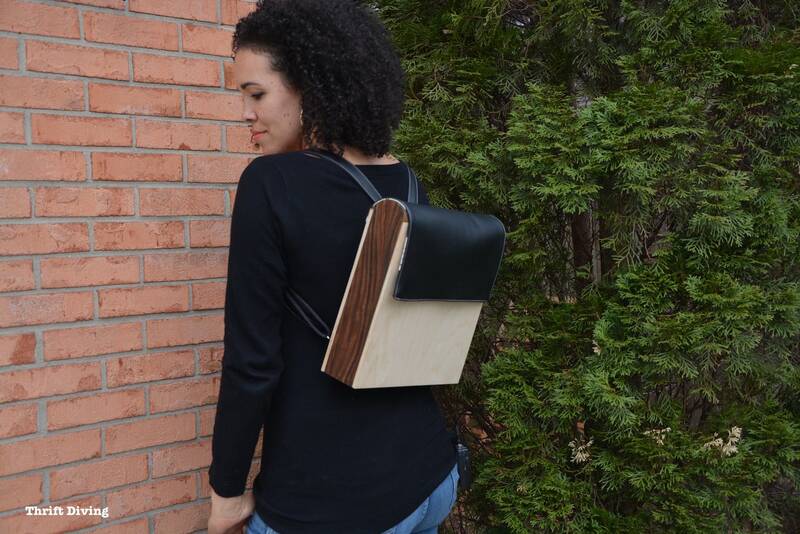 Okay, so you need some tools to make your own DIY wood backpack, right? Thankfully, RYOBI has got you covered. They’re giving one reader $300 worth of power tools. You get to pick what power tools you want. Just don’t go over $300. 😉 You have to be a U.S. resident to win (sorry, my international friends!). The winner will be chosen at random on April 29, 2017, and notified via email. 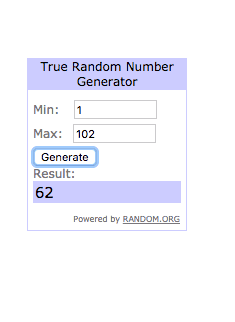 You have 48 hours to respond or else another winner will be selected. 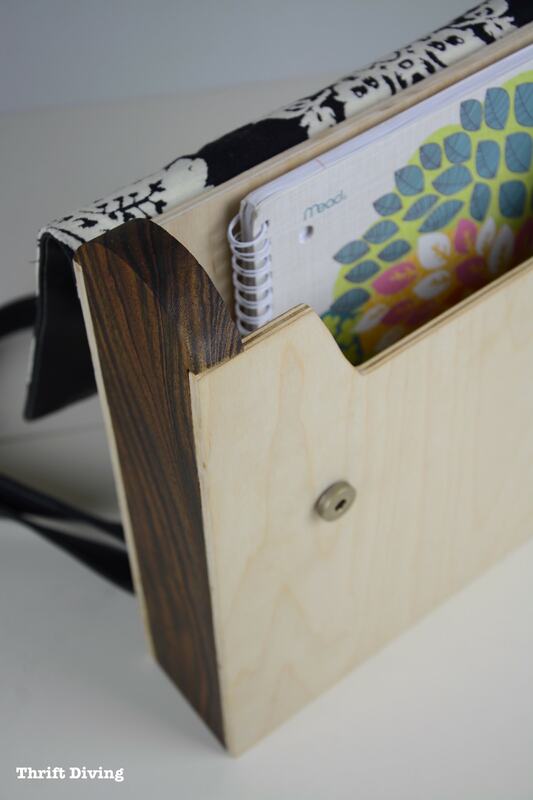 Go to RYOBI Nation and check out this full tutorial on how to make a DIY wood backpack. Be sure to sign in or sign up for a new free account to view the tutorial. Leave a comment over on RYOBI Nation to let me know what you think of the wood backpack and what tools you’d love to win. 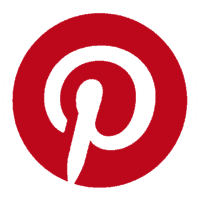 Pin this project on Pinterest. Just pin this post daily and leave a comment below each time you do, letting me know you pinned it. Each time you pin it, you earn an additional entry! More giveaways for $300 in RYOBI tools coming in June! I love this bag! I’ll be featuring this tonight at Merry Monday, hope to see you at the party! What a unique little backpack. Will be including this in a bts roundup on this week’s Merry Monday. Pinned. What an amazing idea for a bag! I love the look of it. Thanks for sharing at Merry Monday!